I want the result of Indian Council of Medical Research (ICMR) Scientist B Exam 2016 so will you please provide me? 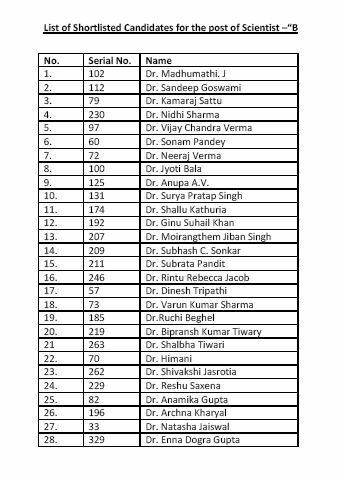 Indian Council of Medical Research (ICMR) has declared the interview list for the posts of Scientist B . Selected candidates have to attend for interview on 22-07-2016 & 02-08-2016.